Pledging your life to the ministry is no small feat. Your life is devoted to God’s service and the service of those in His kingdom, which means sometimes your free time isn’t your own. Pastors and priests especially are expected to be on call 24 hours a day, seven days a week. That’s why it is so important to address significant service milestones when they arrive. 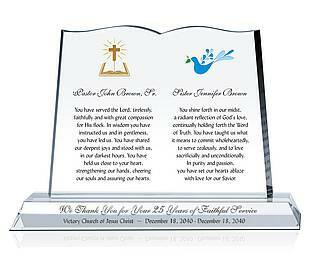 Five years of pledged service to God is perhaps the first major milestone for anyone in the ministry. While the position of pastor is probably the most time intensive, children’s ministers, music ministers and administrators also deserve special recognition. Ten years of service implies actual experience. Not just “testing the waters” experience, but real work in the faith based community. There is much to be learned after the ten year mark, but there is also quite a lot to be shared. Twenty years of service is the moment when the phrase “veteran” first gets tossed around. Somebody who has spent two full decades serving the church has gathered wisdom that few of us can truly know. 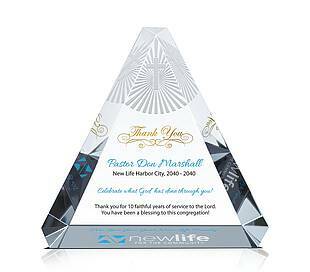 It is a milestone that pushes a steward of God into a new category.